OmniChannel Commerce supports an unlimited number of cash registers operating in multiple store locations, including mobile stores (as long as there is a connection to the internet). You can limit a sales associate (cashier) to various subsets of the full functionality, with management overrides when necessary, such as adding an ad-hoc discount. 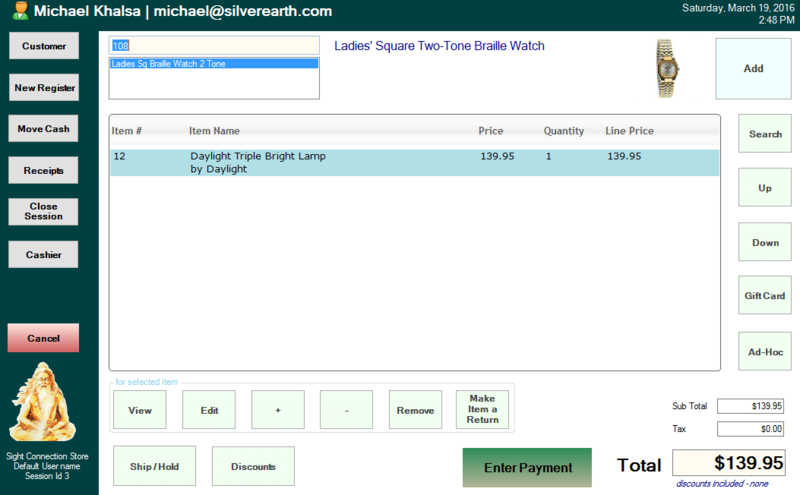 Products and inventory is integrated across all of your sale channels in real time. To start, open the point of sale ribbon. You can have multiple cash register windows open and switch between them. Appearance and workflow can be customized.